It is often said the “beauty is skin deep,” but the Dean Edge Bass is clearly and exception. While beauty was the inspiration, we put every bit of our 20-plus years of design experience into these models. We started with a body styled and contoured for comfort, and to make them lighter we used choice basswood. The maple necks were profiled to be faster and sleeker than virtually all others. We designed a “uniquely Dean” custom neck joint and heel along with our asymmetrical four-bolt pattern, creating uninterrupted access all the way up the two octave neck. 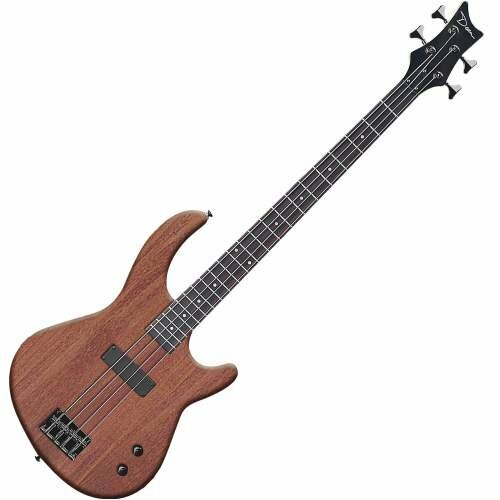 The Edge Bass is offered in four, five and six string models. Experience one of the world’s finest basses. E09 M is the most affordable in the Edge Line.